I've designed an RS232-to-TTL converter board based on TI's MAX232 IC that I plan to use to program a few custom Arduino boards that I have. However, I'm having trouble with the board and I'm hoping that someone can help me debug it. First, let me show you my setup, below. Selecting the tab and add an image from your personal computational device of choice. If you can't do any of these, make a few posts within the general forum until your post count reaches 5 (some subforums don't increment post counts, so why not introduce yourself and post a fleeting thought or three. April_21 wrote: I've designed an RS232-to-TTL converter board based on TI's MAX232 IC that I plan to use to program a few custom Arduino boards that I have. As have literally everyone else I've met who has ever done this. 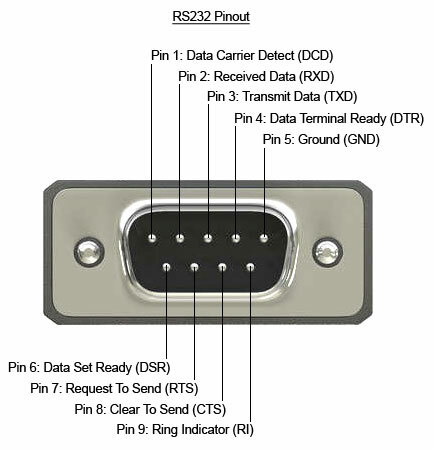 The RS232->TTL converter is a must have for beginners, but I think that maybe the number of pins is too much for a beginner. It really can be anything from poorly soldered connections, backwards capacitors, or a poorly made DB9 connector that will screw you over. No capacitors, and only like 4 pins or something. Despite the non-standard approach, it has worked every single time for me. If you want a 100% legitimate solution, Sparkfun sells Max3232 breakout boards, which works for 3.3V and 5V projects. Capacitors already soldered on. Just gotta get the DB9 connector right and you should be set. You mean this kind of transistor version ? Umm.. April_21, are you top-posting, there? A bad habit1, IMO. You'll note that it's Question then Answer order on the forum (most forums). And that if it's viable to edit down what you're replying to, not just leave the whole thing hanging out below, apparently unnecessary. Apologies for not helping you directly, but I'm already watching this thread for my own tangential interest in the subject. Consider this a PTW. I may add something on-topic, but so far I'm not able to compete. 1 I blame Outlook Express in the '90s for inverting all the common prior standards because "Microsoft knows best", although it's at least a logical ordering for real-time aggregations like Twitter feeds. April_21 wrote: You mean this kind of transistor version ? I really don't know what you're talking about, at all.